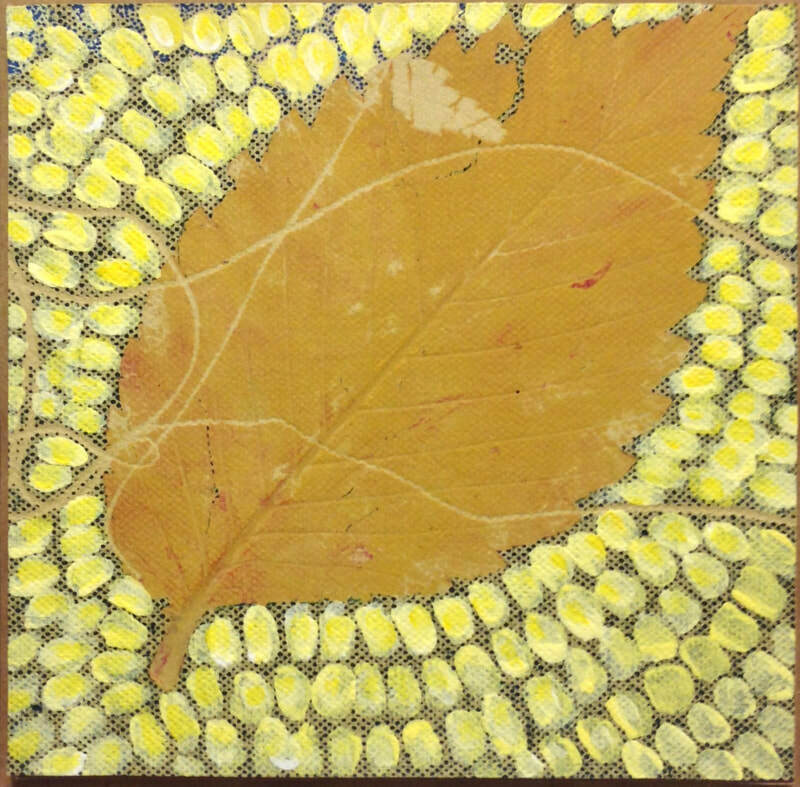 Like Leaves on a Canvas is a body of work created in the autumn of 2018. 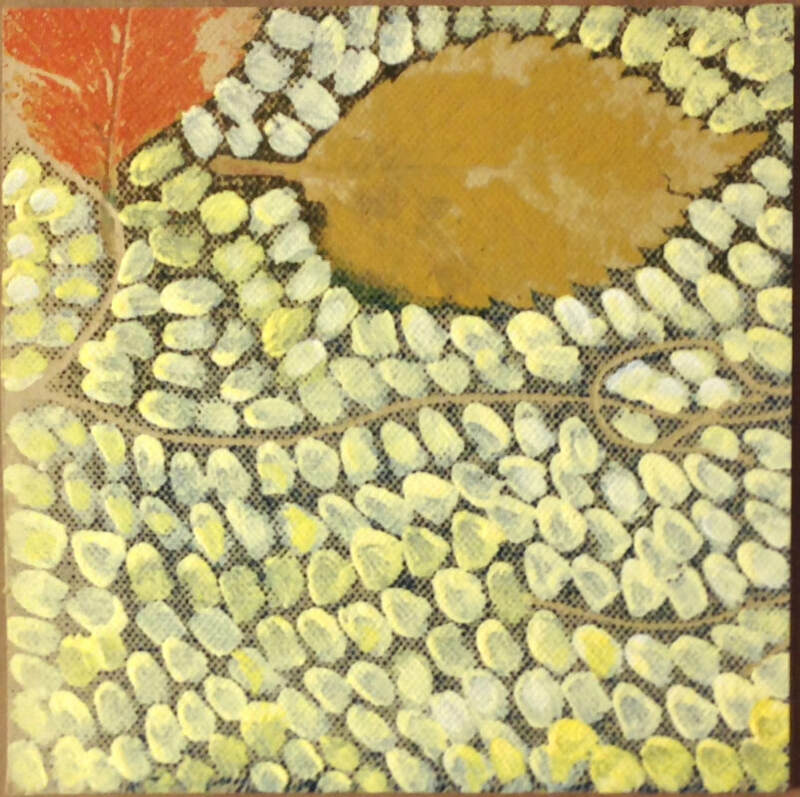 The pieces are a mixed media blend of printmaking and painting techniques. 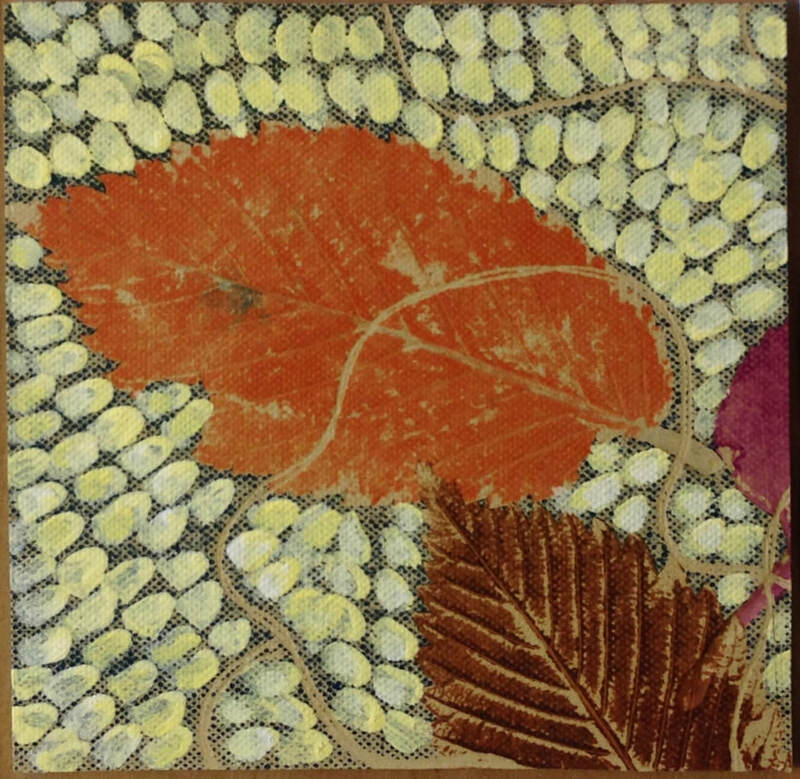 The paintings are executed on pieces of a monoprint pulled on heavy stock French printing paper (Arches cold press mould made paper). 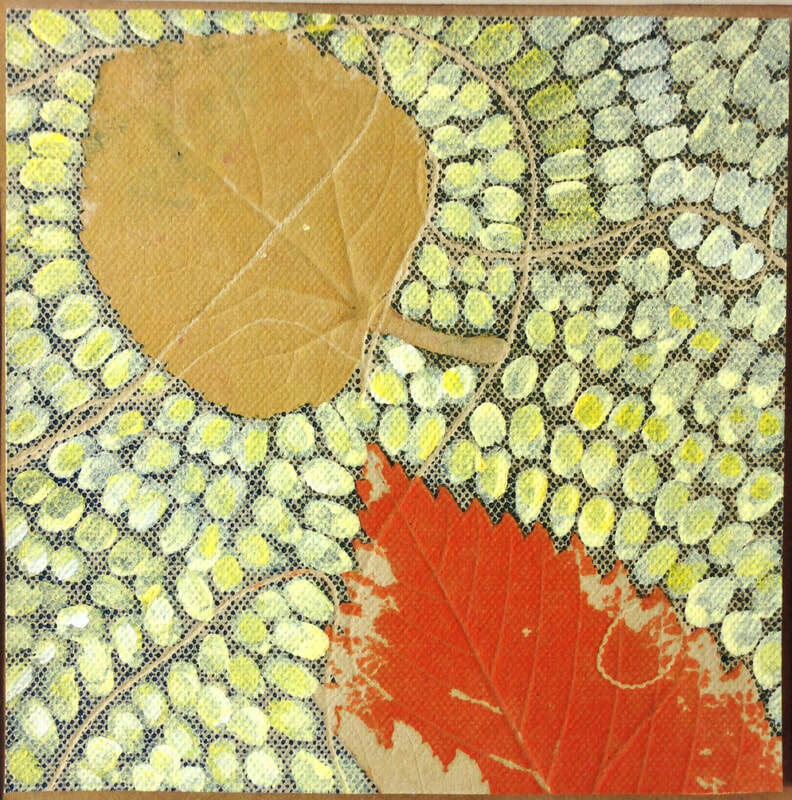 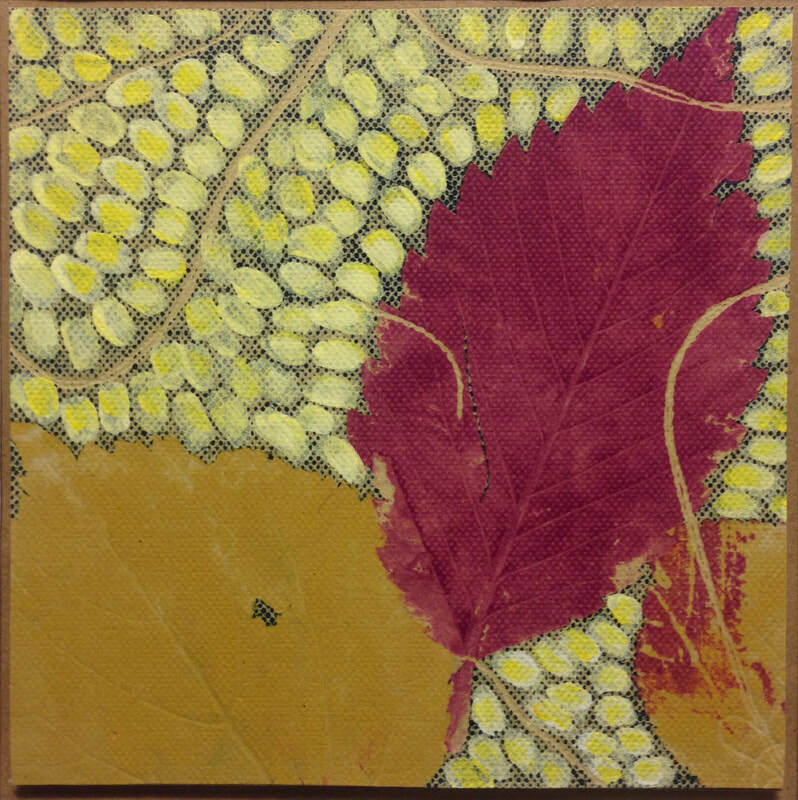 Painted canvas and painted leaves were printed onto the Arches paper creating the quality of canvas texture on paper. 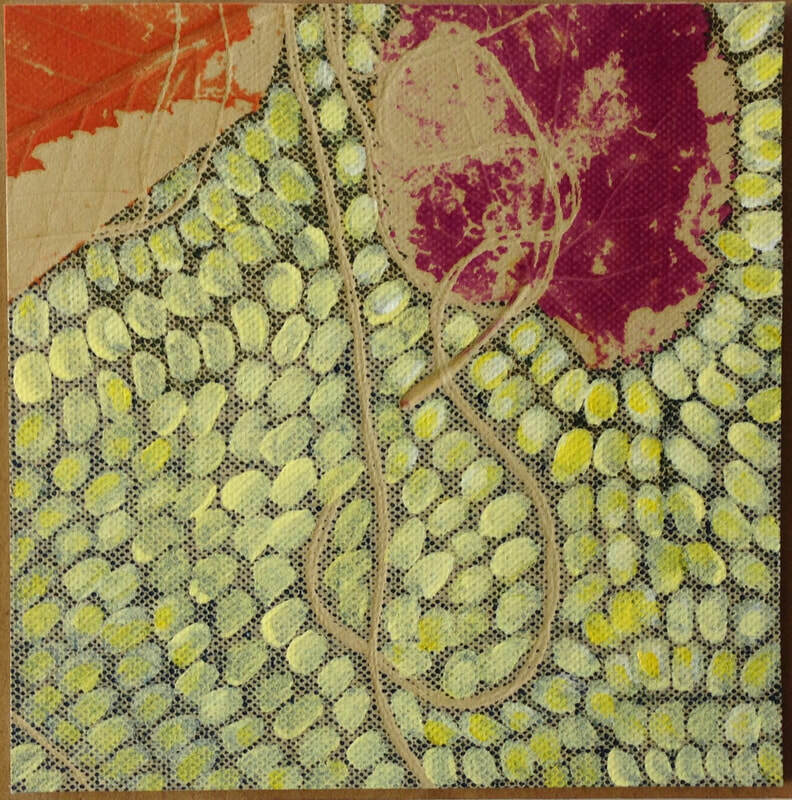 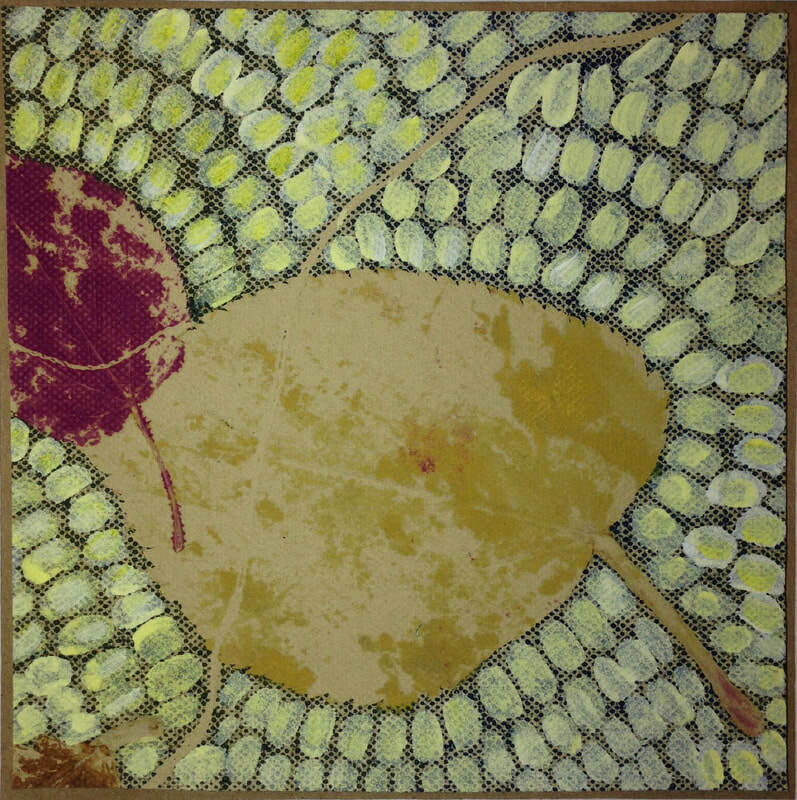 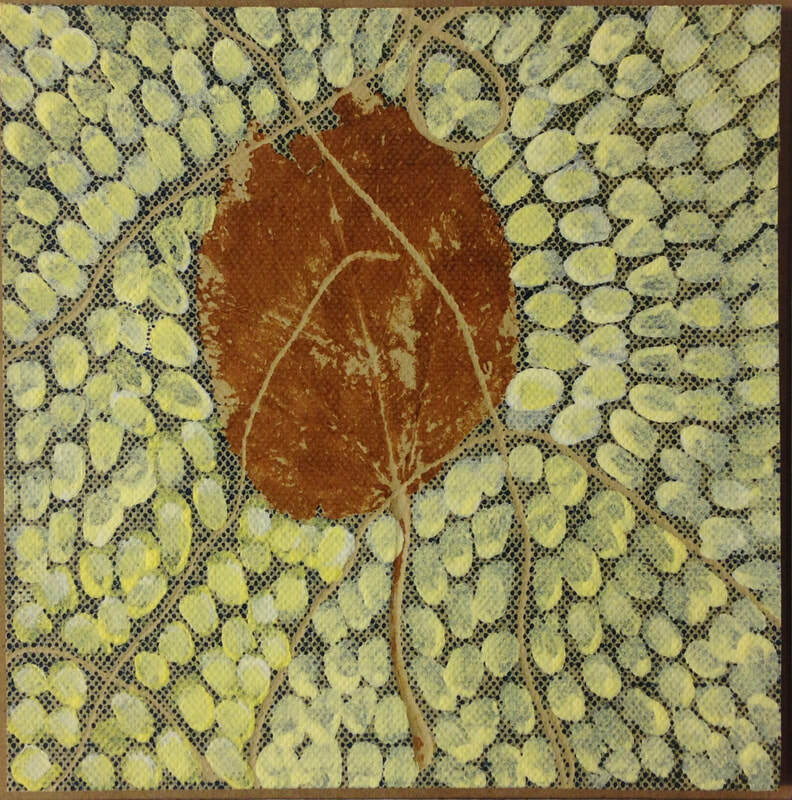 Like Leaves on a Canvas is a total of 8 works mounted on cardboard paper and possessing the quality of mosaic tiles. The works reflect on themes of recycling and reuse -- the continuum of natural elements from the forest turned to paper for human consumption, and then reconstituted for new uses.